It’s one of my amazing special posts, yay! (Nobody really cares, just look at the pretty pictures). Friday I will be posting a ‘Best of Christopher Nolan’ because of the Dark Knight Rises release. Ok so we are now into the 7th month of the year so I thought I would put my favourite films of the year into monthly winners for the first half of 2012. Obviously part 2 won’t be coming out until January next year so keep an eye out for that when I will also reveal my winner of the year in genre categories (nobody really cares, just look at the pretty posters). Each winner is only put in a mini review but has been linked to the full reviews if you want to read more. This is an interesting action film with a good plot and brilliant characters and actors. Mallory Kane is a highly trained operative who works for a government security contractor in the dirtiest, most dangerous corners of the world. After successfully freeing a Chinese journalist held hostage, she is double crossed and left for dead by someone close to her in her own agency. Suddenly the target of skilled assassins who know her every move, Mallory must find the truth in order to stay alive. Tim’s Film Reviews Recommended. I did like the father daughter relationship in this film even though it was a bit short, this was mainly because she is such an interesting character that you want to know why she is the way she is and where she came from. Now with some action films what happens next can be very predictable thanks to the music, but in this the music is very low tempo and throws you off the scent a bit. I do like a good “I won’t keep running away anymore” line out of action films so I am glad this one has it. Well done Steven Soderbergh. The characters were portrayed perfectly by the main cast who genuinely acted like three young guys who discovered telekinetic powers, by this I mean they didn’t go fight crime but they did use a leaf blower on the cheerleaders. Usually the downfall for movies like this are their end but for chronicle I think it’s one of its strengths and the relatively short time of 83 minutes was perfect for the whole set of events to be played out without it being too long or short for character development. Think I may be crazy, because I actually really liked this film. The film deserved a better rap than it got and the films advertisement was terrible. The main reason I would say the film didn’t make much money was the advertisement because even I didn’t go see it at the cinema and that’s really saying something. A massive surprise to me! That’s some good Sci-Fi. Tim’s Film Reviews Recommended. The Sci-fi elements of this movie are best left to watching as talking about them will be a spoiler I am afraid but I will state that it’s a fun experience and that what Sci-fi elements there are will not be as important as the trailer will lead you on. This film will definitely make an impression on everyone who sees it and would recommend it to a broad spectrum of people whether it’s for gore soaked horror or side splitting dark comedy it works on many levels. Joss Whedon you beautiful man you. Well he has done what many thought would be impossible creating a film with six superheroes without it being a total mess. The film is not only not bad but in my opinion pretty damn perfect. By perfect I mean I honestly don’t have any complaints, no stupid stuff, no boring scenes, it’s just a great action film. 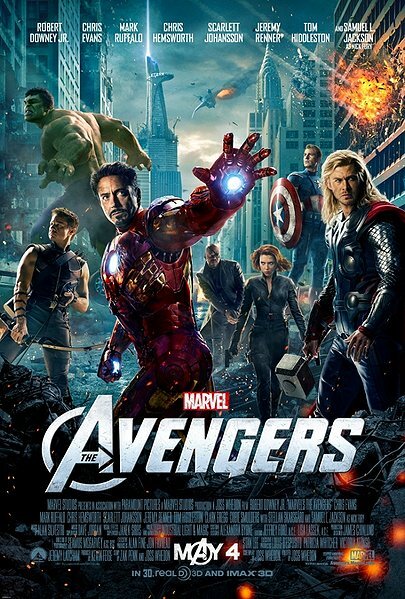 Marvel Studios presents Marvel’s The Avengers-the Super Hero team up of a lifetime, featuring iconic Marvel Super Heroes Iron Man, The Incredible Hulk, Thor, Captain America, Hawkeye and Black Widow. When an unexpected enemy emerges that threatens global safety and security, Nick Fury, Director of the international peacekeeping agency known as S.H.I.E.L.D., finds himself in need of a team to pull the world back from the brink of disaster. Tim’s Film Reviews Recommended. 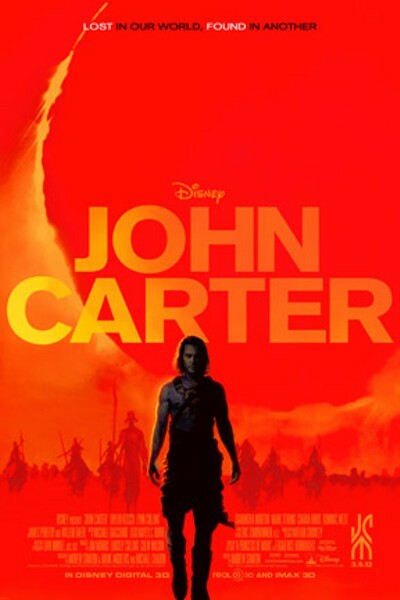 The characters are surprisingly well performed by the cast and where written as being more human than any of their own films have portrayed before, this had to be displayed for the story to play out but let the viewer see more of the characters flaws and what really pushes their buttons. In this film you can see some of Joss Whedon sense of humour gets worked into nearly every scene and will appeal to everyone who watches even if you haven’t seen any of the characters before. My favourite line would have to be “he’s adopted” you will only get it after watching but you will laugh. 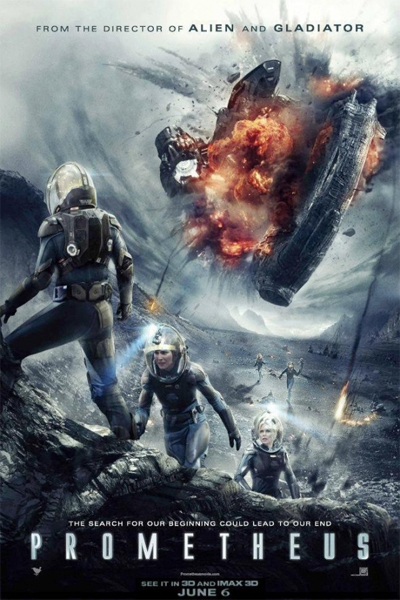 It’s a good Sci-Fi film with great acting and an interesting plot, but sadly it wasn’t a great Sci-Fi film and definitely wasn’t this generations Alien. But I would love to see a sequel which could easily fix the problems I found with this film. Ridley Scott, director of Alien and Blade Runner, returns to the genre he helped define. With Prometheus, he creates a ground-breaking mythology, in which a team of explorers discover a clue to the origins of mankind on Earth, leading them on a thrilling journey to the darkest corners of the universe. There, they must fight a terrifying battle to save the future of the human race. Tim’s Film Reviews Recommended, just don’t expect it to be as good as Alien. Good list there man. Nice to see Chronicle and the underrated Haywire in there. 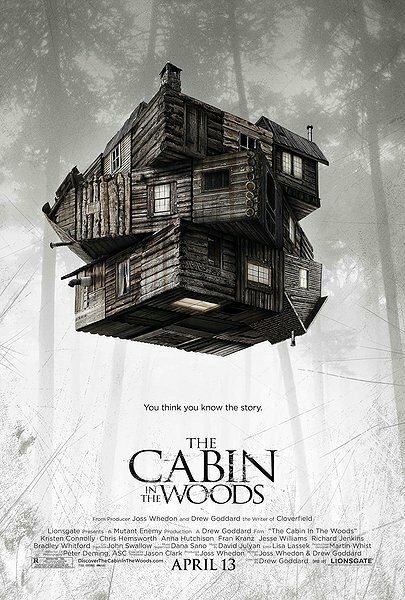 Damn, still haven’t seen Cabin in the Woods, thanks for reminding me. And Haywire looks like ‘The Borne Identity’ with a female lead. 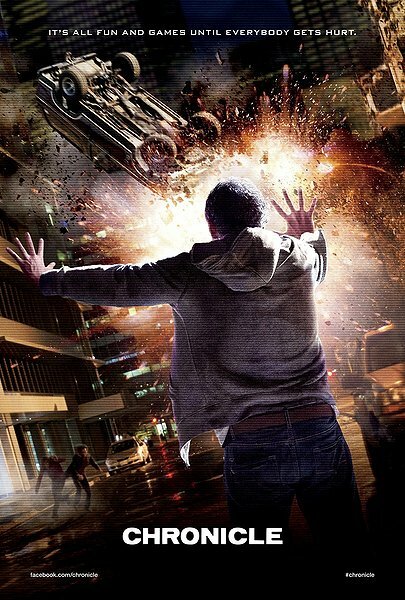 Chronicle was much better than I thought it was going to be and not nearly as bad as I’d heard. 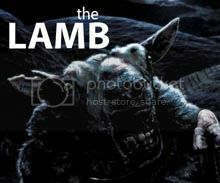 STILL need to see Cabin in the Woods (which I’m sure I’ll love). HATED The Avengers. I was bored to tears. A lot of what you said doesn’t make sense! How have you not seen ‘The Cabin In The Woods’? “I wanted to punch Joss Whedon for doing that movie” Does not compute! does not compute! Sweet! Right in time for my bday! Excellent! What everyone finally learned from Prometheus—we aliens created humans. Wow, no votes for Prometheus. I’m sorry, I just don’t see the criticism for that one. But I still have to go with Avengers. Well if you don’t vote for Prometheus, who will? Prometheus – not so sure about that one. Great list. I still need to see Cabin in the Woods. What would you replace Prometheus with? Tough question. There really wasn’t that much in June. I guess putting personal feelings aside you might be right on Prometheus as being the best. Ted came out then, but I haven’t seen it so I can’t judge how good it is. By the way, dig the icon. Predator is one great movie.